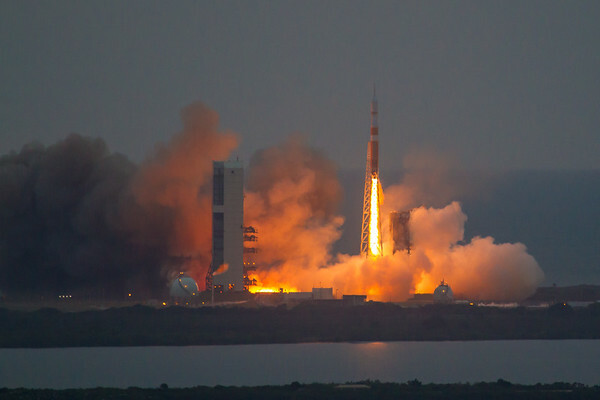 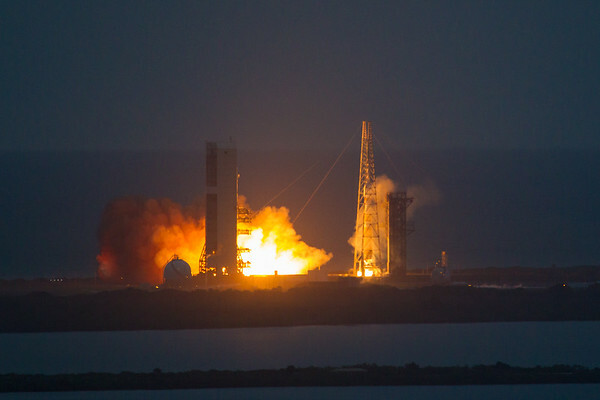 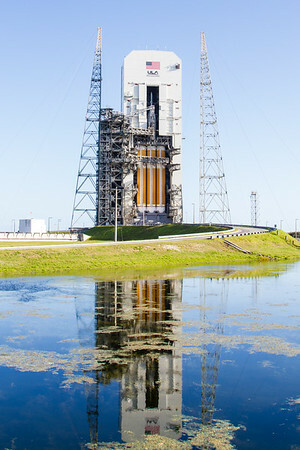 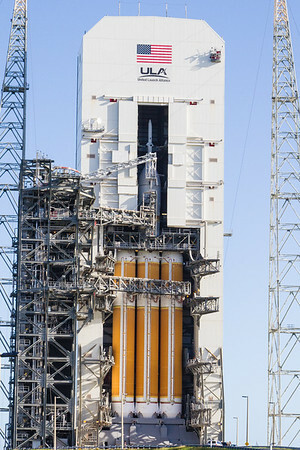 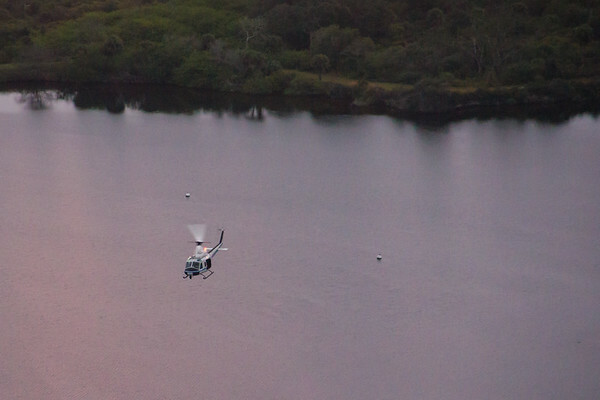 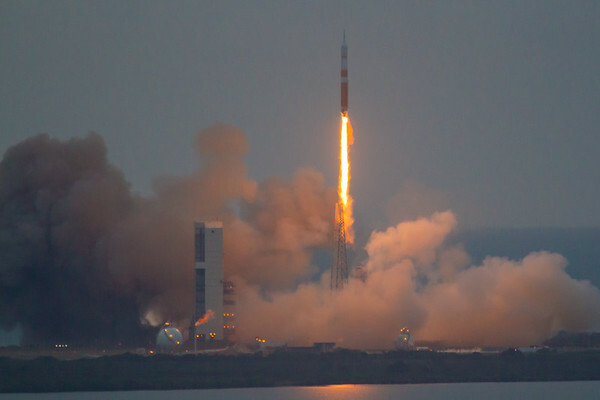 Collection of photos from launch of NASA's EFT1 Orion capsule. 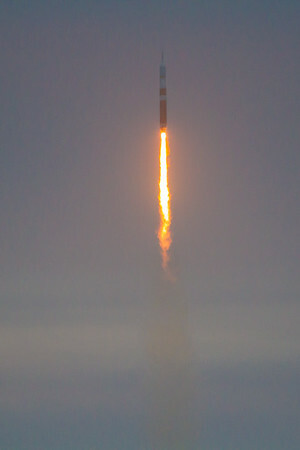 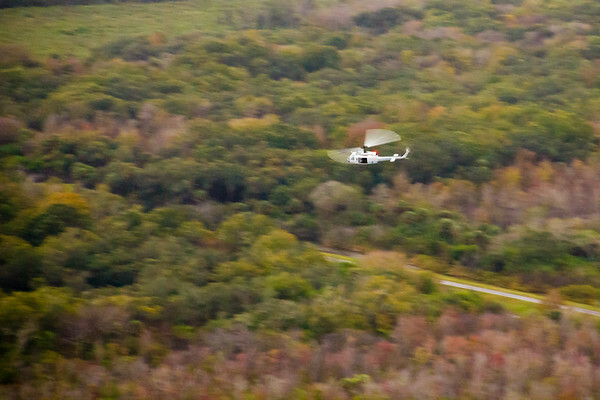 Photographs by Michael Seeley while covering the launch for SpaceFlight Insider. 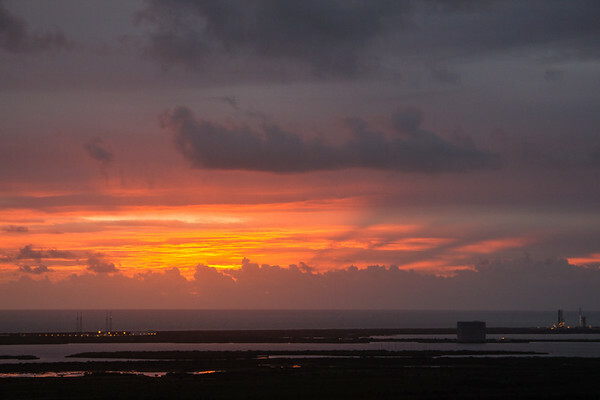 T-minus 9 minutes to Orion liftoff, this is the sunrise. 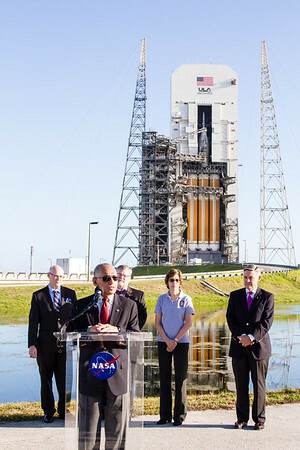 LC37 and Orion are to the right. 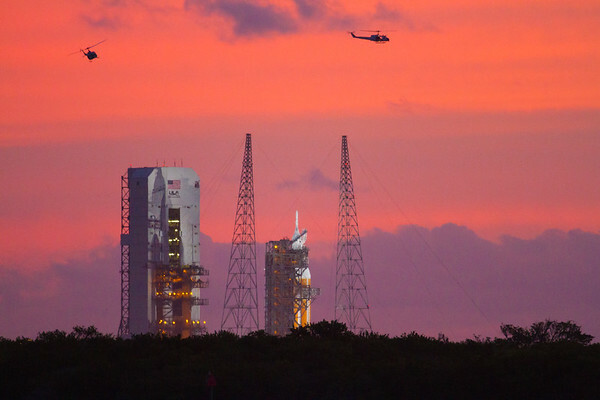 Seen from the roof of the Vehicle Assembly Building.